The Chinawoman, written by Australian lawyer Ken Oldis, reads like an Australian Chinese version of John Grisham’s The Innocent Man: Murder and Injustice in a Small Town. The book is set in 1856, during Australia’s gold-rush days when tens of thousands of Chinese laborers arrived in the colony of Victoria in search of gold. At one stage, the number of Chinese in the colony reached 40,000, accounting for 10 percent of the total population — and they surely contributed to the development of Melbourne as a modern city. However, because the Chinese were considerably different from their European counterparts, in terms of their languages, customs, mannerisms, beliefs, social habits and how they sent all the gold back to China instead of spending it in Australia — the Europeans increasingly resented, resisted and even feared the existence of the Chinese in the colony. The anti-Chinese sentiment was so widespread that even the parliament was considering heavy taxes and other discriminatory laws against them. Right at this politically and socio-economically sensitive moment, an English prostitute was brutally murdered in Melbourne. She was nicknamed “The Chinawoman” because her clients were mostly Chinese. As the public demanded her killers be found, it was commonly believed — in both the European and Chinese communities — that they were Chinese. The police was under enormous pressure to arrest somebody — anybody — but there was no way for them to conduct any investigation in the local Chinese community that had long endured humiliation, mistrust and mistreatment from the British. Consequently, the police had to employ spies and secret agents to infiltrate the Chinese community. A series of power struggles followed in both Melbourne and its surrounding gold-rush towns, as Chinese leaders were forced to choose between the lives of a couple of individuals and the welfare of the whole Chinese community in the colony. There was also plenty of deception and smearing campaign going on among the police detectives and their bosses in the colonial government — everybody wanted a lion’s share in the “glory” of finding and punishing those “Mongols” who dared to kill one of their “innocent British maidens”. Eventually, two Chinese laborers were arrested, convicted and hanged — but were they guilty? As a criminal lawyer, Oldis sifted through hundreds of thousands of legal documents, government archives, court proceedings, media reports and personal papers in search of an answer. His truthful account of this notorious case more than 150 years ago is presented as a thriller and detective novel. Reading this book, one is immersed in those historical conflicts that somehow not only separated the Chinese and European communities in colonial Australia but also proved how similar they were to each other. The Chinawoman was published in 2008 and won the prestigious Victorian Community History Award in the following year. The book contains extensive notes and references and is a solid piece of scholarly work that explores the political, socio-economic, cultural, ethnic and legal circumstances under which the Chinese lived and worked in colonial Australia. 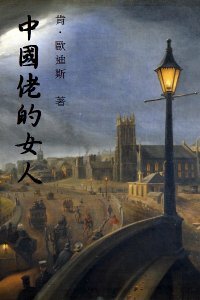 With a solemn but refreshing tone, much attention to details of the wording, and a unique sense of humor that only a lawyer can display — Oldis has done a fine job presenting a series of European and Chinese characters and how they struggled to survive between two cultures. Those once ordinary are now made legendary as this dark but fascinating page in the history of Australia-China relations is re-written.